Hey guys. Hope you are all having a stress-free weekend. I always like to do some pampering during the weekends, as it's usually the only time when I'm not rushing anything. 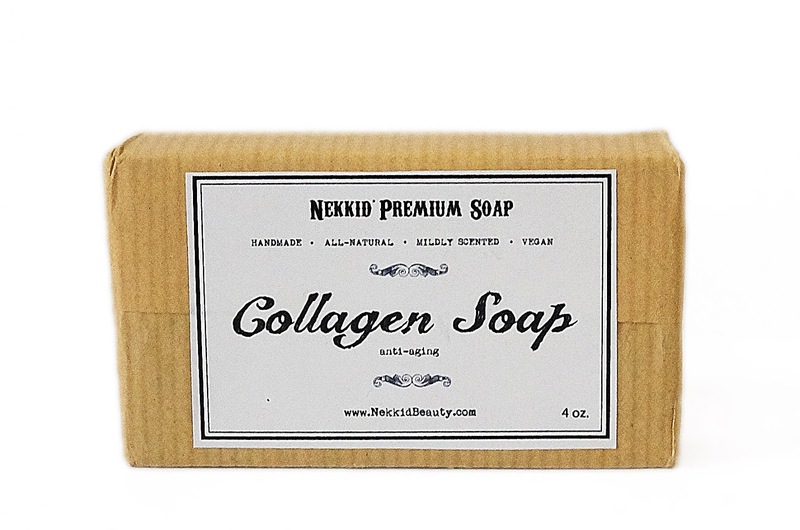 I got these Nekkid Beauty organic body scrub and soap as Christmas gift. I couldn't be happier to be trying out a new organic brand. 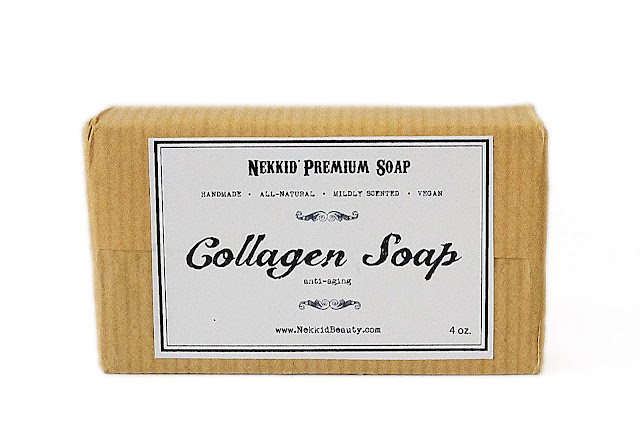 Nekkid Collagen Soap (4oz) - Contains anti-aging ingredient to combat all those nasty lines and wrinkles. 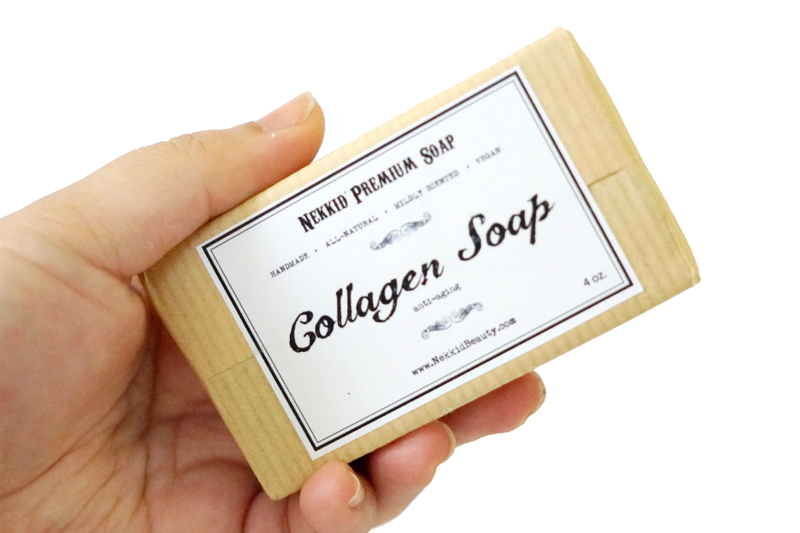 Keeps skin soft, smooth and moisturized. 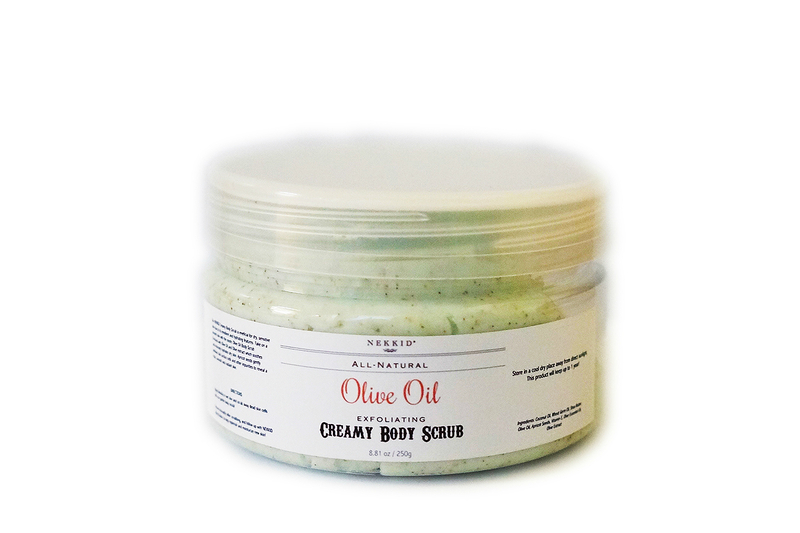 Olive oil has Oleuropein which helps in moisturizing skin, reduce redness and irritation, and promote blood flow. Contains natural apricot seeds to exfoliate skin. 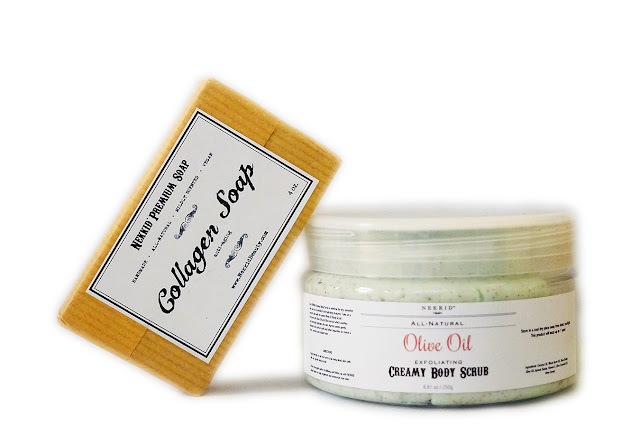 I'm a big body scrub junkie so I immediately tried this one as soon as I got a bath. This scrub is one of the best scrubs I've tried so far. 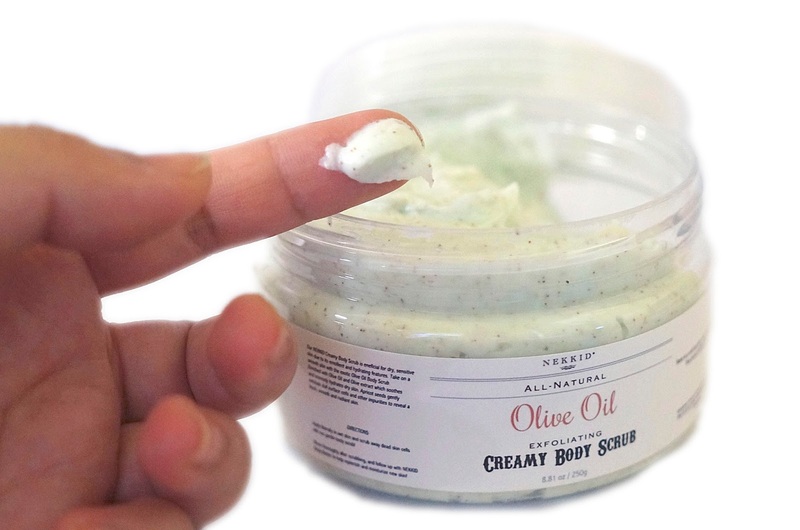 It's very creamy so you only need a little for the whole body. 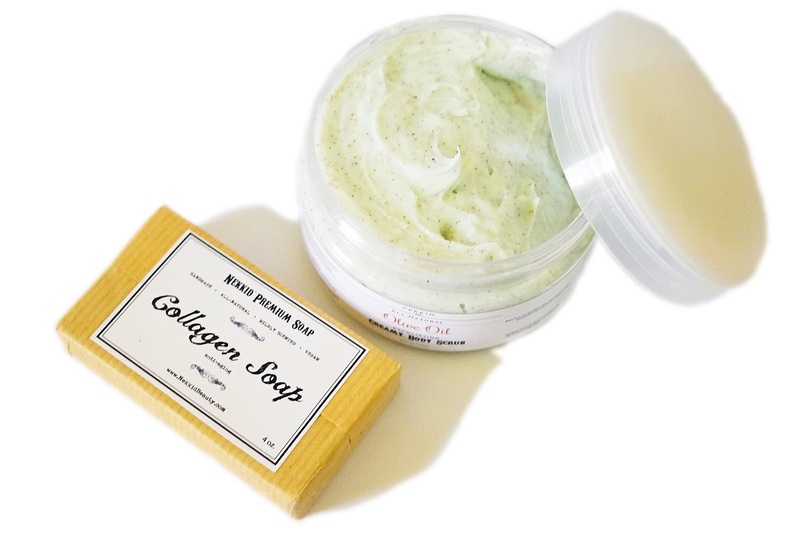 It feels great on the skin and the seeds are abrasive enough to give a gentle exfoliation. 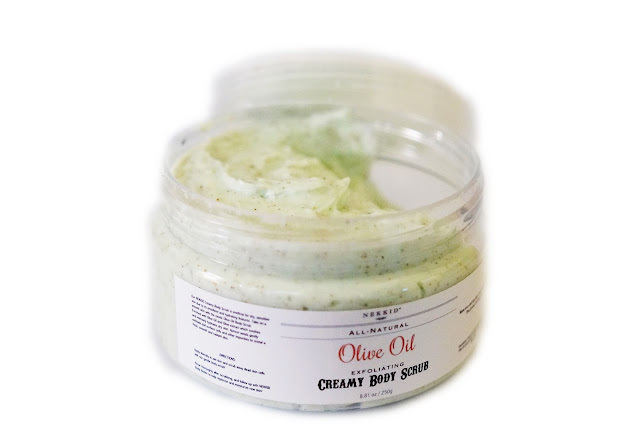 What I like was the hint of Olive scent which really stayed on the skin even after washing off. My skin was soft, smooth and radiant after use. I really like the body scrub and would be very happy to try out other products from the line especially their skin care. I appreciate that so much care and thought comes into producing these organic products. I just wish it's easier to place an order through their site. 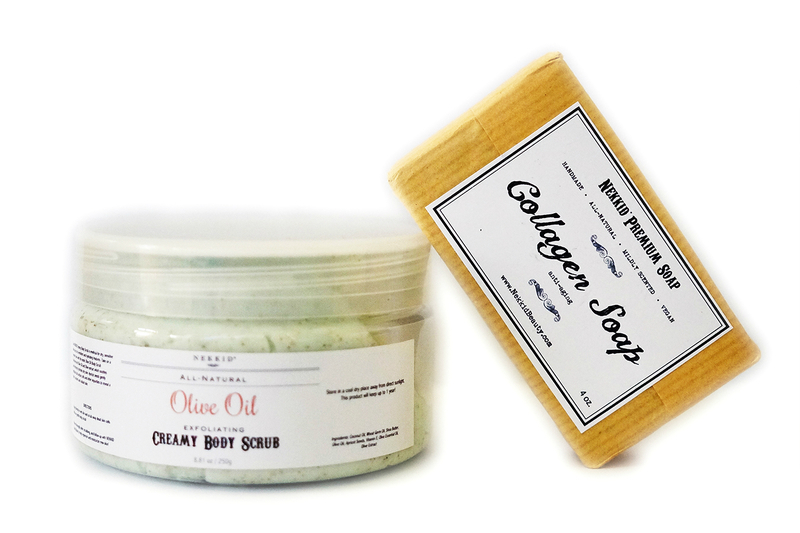 Overall, a good brand to try out if you're into affordable, high-quality organic products.